There is often that awkward wait between your child’s tricycle and their first real bicycle. As they may be still a little too small for a bike, you will need an alternative. This is where Big Wheels come in. They are the right size, lots of fun, and safe too! The way that these ‘bikes’ are designed make them great indoor options too. This way, you don’t have to worry about your little one riding indoors. There is a lot to consider when deciding which one to get for your child. Razor knows what it is doing when it comes to Big Wheels and trikes. The frame, as well as the fork on this bike, are made from steel. This is ideal to make sure that it will last longer. Your child is free to ride, spin, and drift without having to be concerned about breaking the trike in anyway. Speaking of drifting, spinning, and turning, this trike is absolutely made for such twists and turns. This is largely due to the dual inclined caster wheels. There is a special sparks lever on this trike. This allows your child to have even more fun on their 360-degree turns. It also has a high impact front wheel that will not easily go flat. This makes it all the more equipped to handle any kind of riding style. This Big Wheels bike has been built to handle up to 160 pounds in weight. It is suitable for children over the age of six. There are many reasons that you should choose this Big Wheels trike for your little own. First off, dual inclined casters. These have replaced the previous big wheels that bikes such as these used to sport. There is a distinct advantage to doing this. This makes the ride a lot smoother. In particular, it is smooth when drifting as well as when spinning with little to no resistance. Another feature that is impressive is the freewheel system. This makes it a lot easier for your child to simply coast along on their bike. Their ride will not be interrupted by any jerky motions. All of the components of this trike ensure that it is incredibly durable, especially since it is composed of steel. Your child will be able to play with it any way that they like and you will not have to worry about damage. It is great for anyone older than five years old and can take up to 160 pounds in weight. Rugged steel construction for endless play! This is a bike that is great for kids and wallet-friendly for parents as well. The problem with bikes and kids is that growing kids tend to get too big too quickly. This makes the bike that you spent money on, essentially worthless. 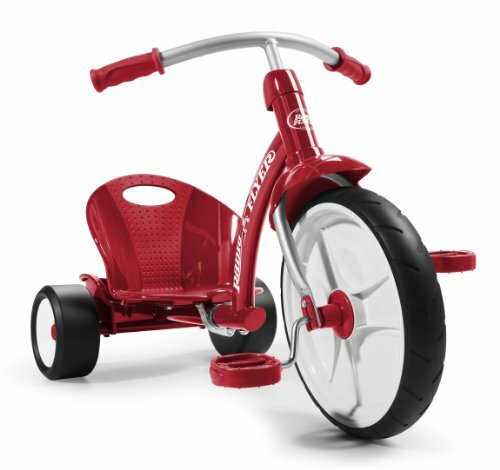 With the Radio Flyer bike, however, you get a bike that grows alongside your child. The frame can be quickly and easily adjusted so that you can expand whenever your little one has a growth spurt. Supporting this is the tough steel frame that will allow you to use the bike for years to come. There is even storage space at the back of the bike. Your child can place their favorite toys there and take them around for a ride. This bike is completely safe as it comes with a performance grip tread. This means that you don’t have to worry about them spinning out while riding. This bike can carry children who are no more than 49 pounds. 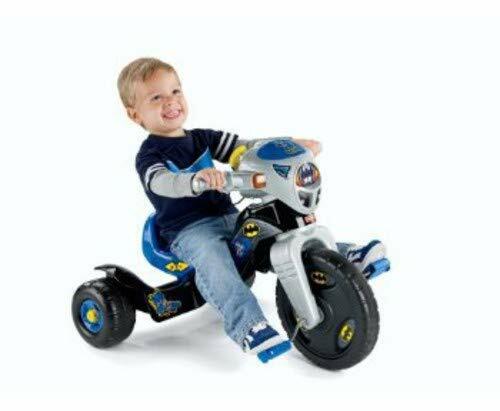 What better way to have your little one feel like a superhero then get them their own Batman trike. With all of the features available with this trike, your child is going to really feel as though they are in the batmobile. 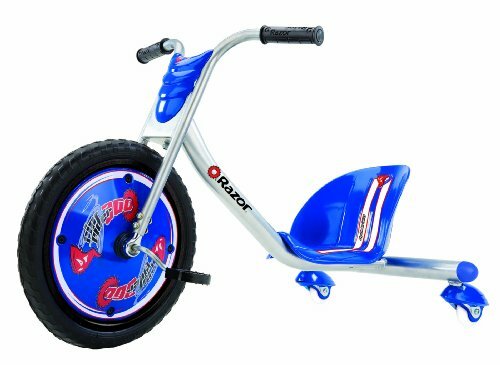 In addition to the attention to detail regarding the construction, style, and colors, there are also other features that make this trike more exciting. In particular, it is the fact that it comes complete with sounds and lights. This makes for a more interactive and immersive playtime for your little one. The trike has also been designed to be quite safe for your child. The overly large front wheel, as well as the wide wheel base, adds stability to the bike, making it easier for them to ride it. 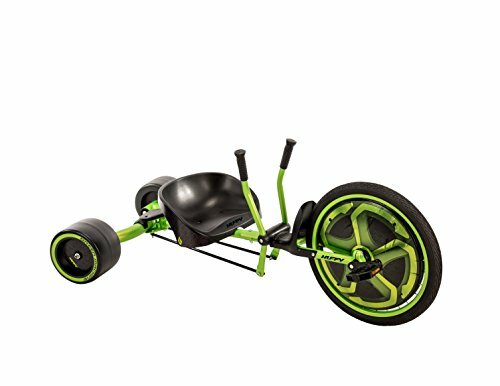 The seat can be adjusted to three different positions, allowing children of various heights to ride this trike with ease. 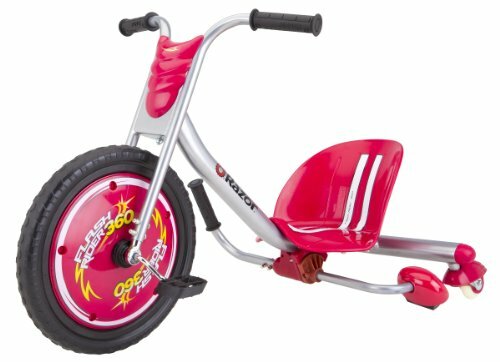 This trike is suitable for kids between two to six years old. They can ride it as long as they are about 60 lbs. This bike is for the little adrenaline junkie in your household. If your child is adventurous, they are going to absolutely love this bike. Your child has to rely on pedal power to get up to the speeds that he or she wants. However, thanks to the awesome dual stick steering on this bike, they will find it easier to maneuver even the tightest spots. They will be able to twist and turn with the greatest of ease. What’s more, with the fast trigger handbrake, they have lots more options too. For instance, if they want, they can stop on a dime. Or, they can really get into their spins and drag it out a little more. The fun with this bike is endless. Also, with the pneumatic front tire and back tires made from resin, the construction is solid. This means that your little one can have as much fun as they want. The bucket can be adjusted so that different sized children will find it easy to use this bike. Conclusion: These are some of the greatest Big Wheels bikes that you can find on the market. Choose any of these and you will be a very happy customer, indeed. These bikes have been designed to produce the best in performance and fun for everyone.